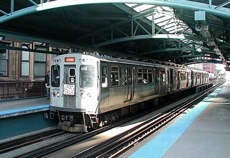 Cubic Transportation Systems has been approved by the Chicago Transit Authority (CTA) to deliver the agency’s open standards fare system (OSFS) to suburban bus operator Pace. The open payment system will enable CTA and Pace customers to pay their transit fares with any contactless bank card that conforms to industry standards. NFC-enabled mobile phones with bank cards residing on them will also be accepted in the system. CTA rail station turnstiles and CTA and Pace buses will have card readers that accept payment with a simple tap of the card, or NFC-enabled mobile phone. For customers without a bankcard, contactless reloadable prepaid cards will be sold at more than 2,500 retail stores and vending machines across Chicago and neighboring communities. The deal expands the largest North America transit industry public private partnership for fare collection systems and services, increasing Cubic’s original contract by approximately $50 million to $508.9 million.